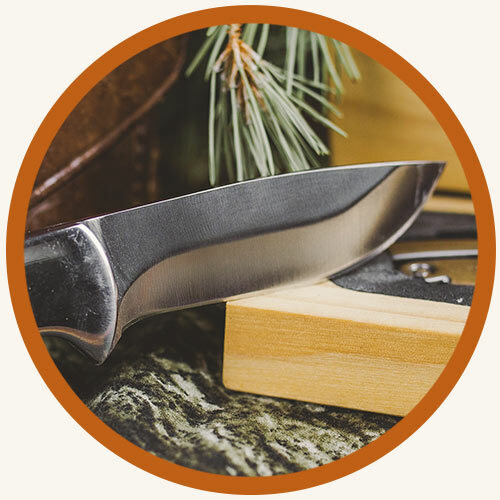 Montana Executive Collection knives have a reputation for quality, craftsmanship, beauty and value. 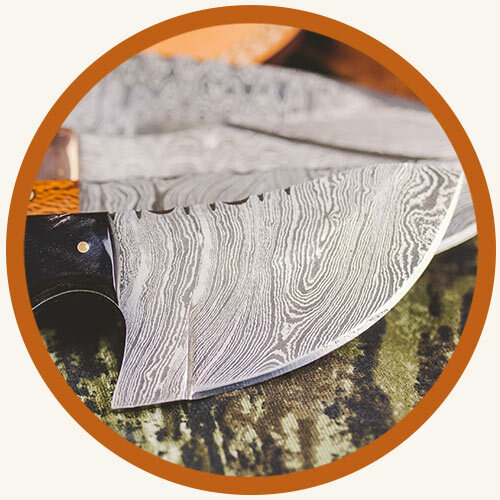 Made with either high end 440 stainless steel, which is known for its ability to hold an edge and is tarnish and scratch resistant; or Damascus steel, famous for its hardness and beautiful patterns. 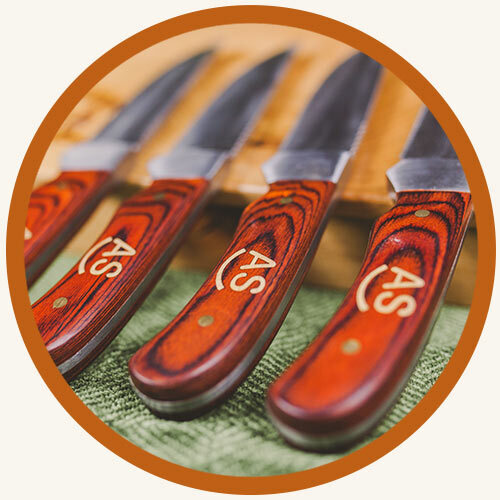 These knives are custom inlaid with your corporate or event logo, custom design, or one of our stock wildlife series designs.